Self Contained Compactors (SC’s) are offered in a wide range of sizes including but not limited to 15, 20. 25, 30 and 35 cubic yard sizes. 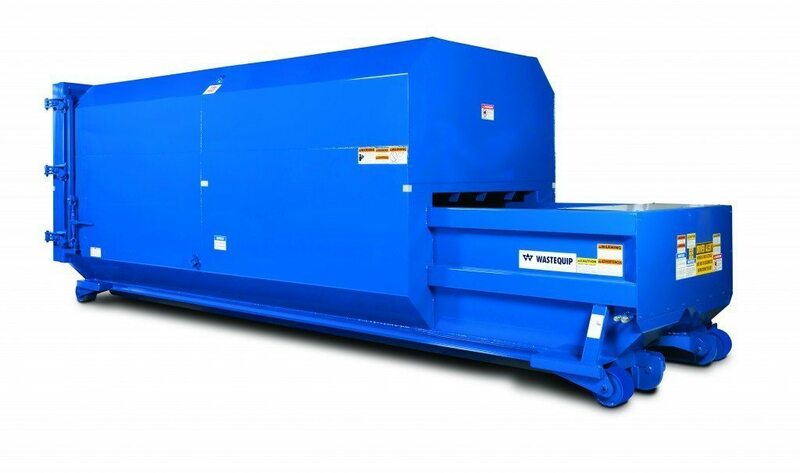 Although designed specifically for Wet Waste Streams, Self Contained Compactors can be used for Dry Waste Applications where space is a concern. Self Contained Compactor units are designed to hold large quantities of Wet Waste on site for transport to a disposal facility. They are not designed to handle Liquid Waste. Although Self Contained Compactors are manufactured in 5 different size capacities, the Feed Opening also known as “Clear Top Opening” is offered in two basic sizes in Standard machines. The most common size is 60” W x 34” L in a single cylinder machine and this suits many applications in the markets described above. A larger 60” W x 40” L Cross Cylinder Design offers rear loading from the ground capability and also benefits those who have limited space. Regardless of your industry or application, NES can custom design a complete system solution for your specific Wet Waste Stream compaction needs. We offer Custom Manufacturing, Custom Steel Option Fabrication and the Service team to address your needs after the sale. Contact our experienced staff to schedule a time to explore a custom compaction solution for your facility today at (610) 640-9200.